Happy Friday everyone! The weekend is here or will be very soon. Does anyone have anything exciting planned for the weekend? We'd love to hear what plans y'all have. 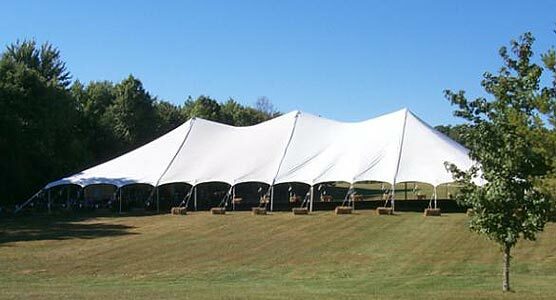 We are planning on attending "The Haunting in the Hills" story telling festival in The Big South Fork this weekend, and maybe even get in a hike. Regardless of what you're doing get outside and enjoy what mother nature has to offer. And with that, who's ready for some giveaways? This week we have a couple good ones to mention and a recap of current giveaways going on out there. Shoes, watches, hammocks, first aid kits, GPSs, and shirts. What more could one ask for? If anyone has any outdoor gear related giveaways going on they'd like for us to promote on our FGR, shoot us an email at appalachiaandbeyond (at) gmail (dot) com. We'll be sure to get them posted. Now onto the giveaways. First up, our good friends Tom and Atticus are getting ready to launch their book, "Following Atticus" on Sept. 20. 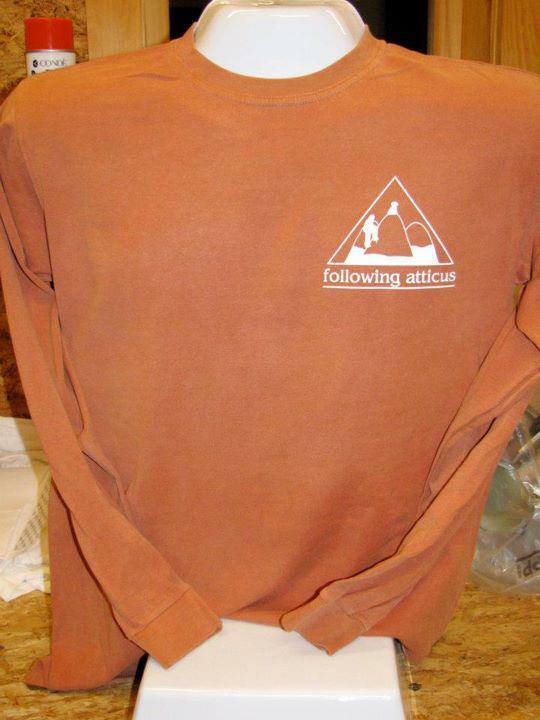 With that they will be kicking off a small book signing tour and to celebrate, they are giving away some Following Atticus t-shirts. They started yesterday on their Facebook Page by giving away their first of five t-shirts. Everyday from now until the launch of the book they will have a different contest on their Facebook page so be sure to check out their wall. Today, they are looking for captions to a photo they have posted on their Facebook page. The comment with the most likes by 9:00pm EST tonight wins the shirt. Be sure to head over and leave a caption and vote for the captions you like. The next giveaway is going on over at Outdoor Gear TV. They are giving away an ENO Double Nest Hammock and Slap Straps. 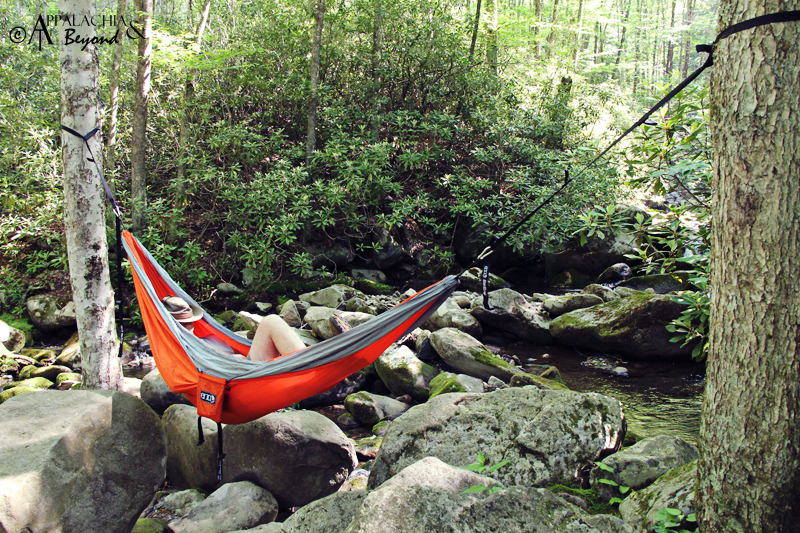 This is the same hammock we reviewed a while back and you won't be disappointed with this hammock. Hanging it is a breeze and it's quite cozy. For this one all you have to do is like their Facebook page and leave a comment on their contest blog post telling them where you will enjoy the hammock at if you win. The winner will be announced on September 23 at 8:00pm CST. Check out their blog post on the giveaway for all details. So that's all we've got new for this weeks edition. Don't forget to check out OutdoorInformer.com for their giveaway this month, a pair of Salewa Approach shoes and a Suunto watch. Get over and enter today and everyday for the rest of the month. PAHikes.com still has that first-aid kit they are giving away, if you haven't entered already, what are you waiting for. 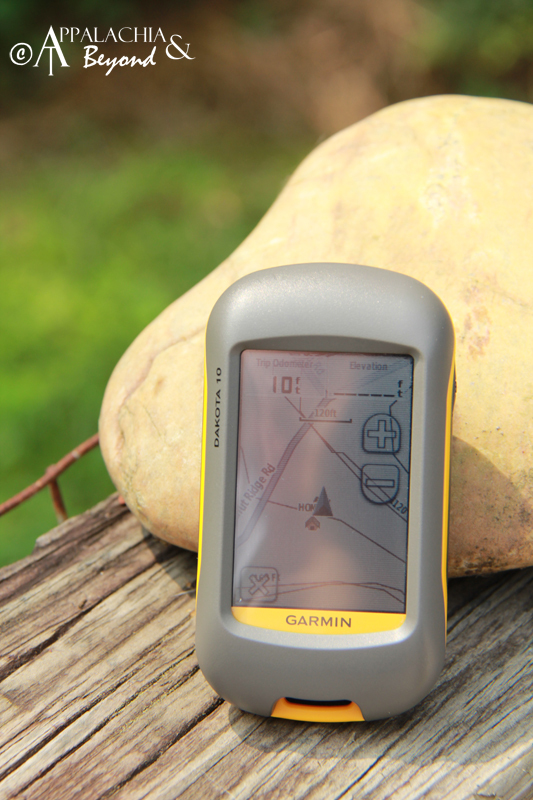 And finally, there's still time to get in on Take A Hike GPS's Garmin Dakota 10 giveaway. Check out the giveaway post for all the details. While you are there, check out their GPS Rental Service. A great way to give a GPS a test drive before you invest in one or if you haven't got the scratch to invest but need one for a weekend adventure, this is a great alternative. Get outside and enjoy the great fall like weather. A welcomed addition to the FRG today, The Hiking Lady has just announced a giveaway of the Bushnell D-Tour GPS. All you have to do to enter is "Like" Bushnell's Facebook page, and leave a comment on their wall as to why you want one. Head over to The Hiking Lady's giveaway post for all the details. A winner will be announced on Friday Sept. 23.